VW: A Passat owner's kid wouldn't do this. And now for the grudge report: In the latest round of provocation involving Volkswagen and Fiat Chrysler, sedans from Chrysler and Dodge have been cast in unflattering supporting roles in a TV spot for VW's diesel Passat. 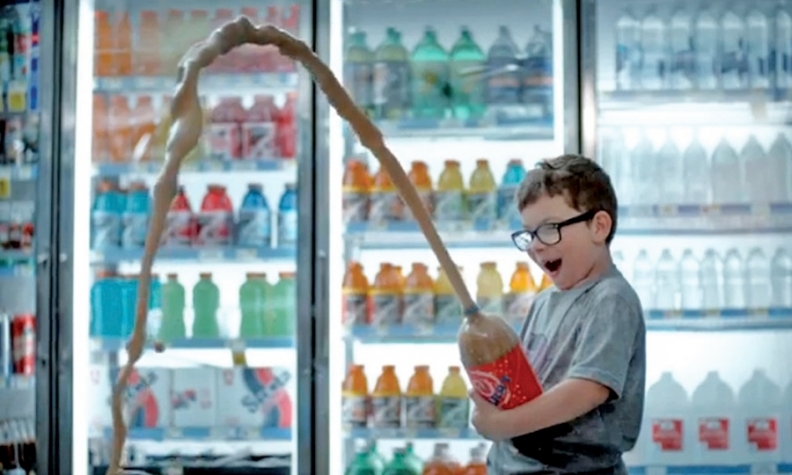 The commercial, called "Mom," shows three miscreant, prepubescent boys entering a convenience store and trashing the place while their inattentive mother refuels her Chrysler 300 at the pump outside. Seconds later, a mother driving a diesel-powered Passat with three well-mannered boys inside passes a slower Dodge Charger on the road. The dissing match between the companies has been going on for years. At one point, FCA offered a $1,000 conquest spiff to consumers who traded in Volkswagens on a Chrysler, Dodge, Ram or Jeep. And the two automakers' leaders have traded barbs with the regularity of a German train schedule. The VW spot could be retaliation for a Dodge commercial last year called "Poster." That ad shows a Charger doing donuts in the desert while a narrator says only: "We're willing to bet no kid ever grew up with a poster of a Passat on his bedroom wall."